(Combs Airways, later ITR Airlines) (FL/ITR) (Denver) 1983 - 1985. Photos. Framable Color Prints and Posters. Digital Sharp Images. Aviation Gifts. Slide Shows. 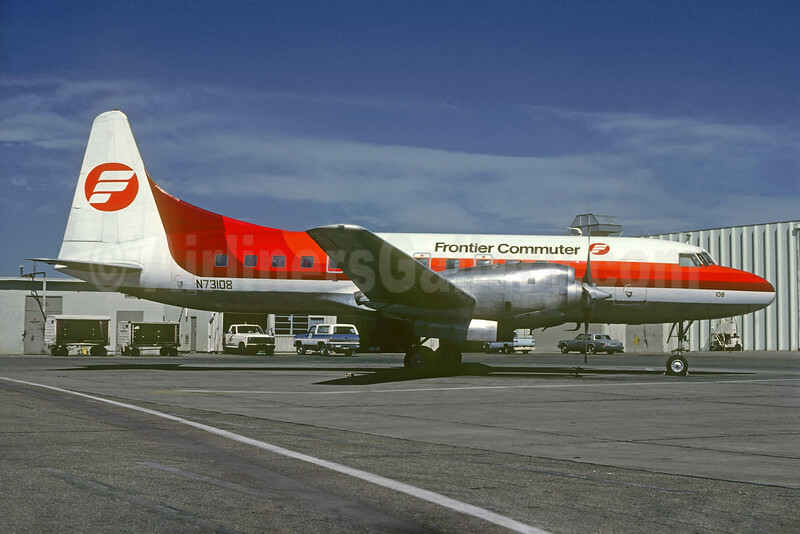 Frontier Commuter Convair 580 N73108 (msn 11) DEN (Robert E. Garrard). Image: 928468.